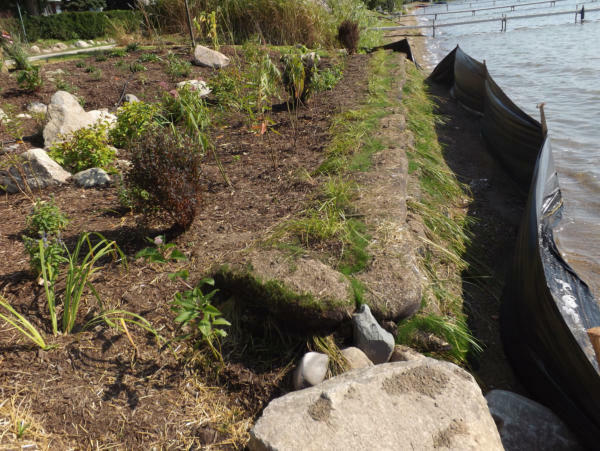 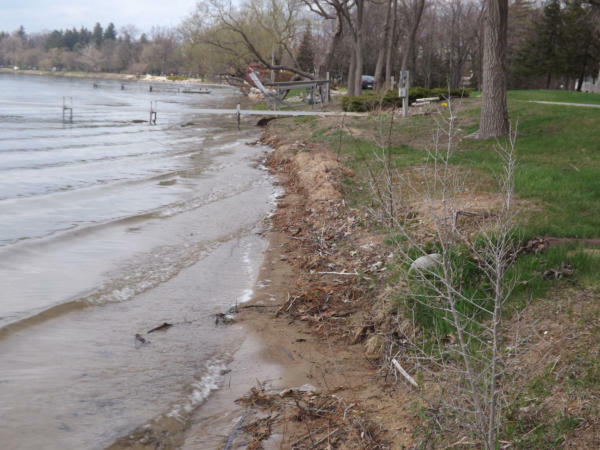 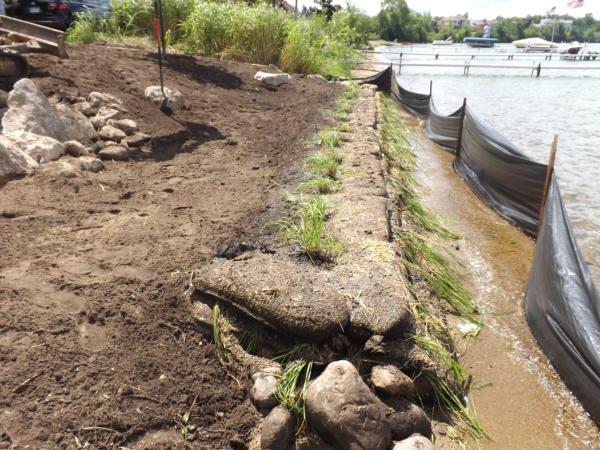 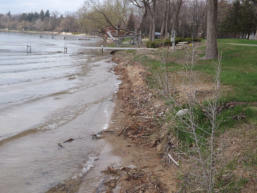 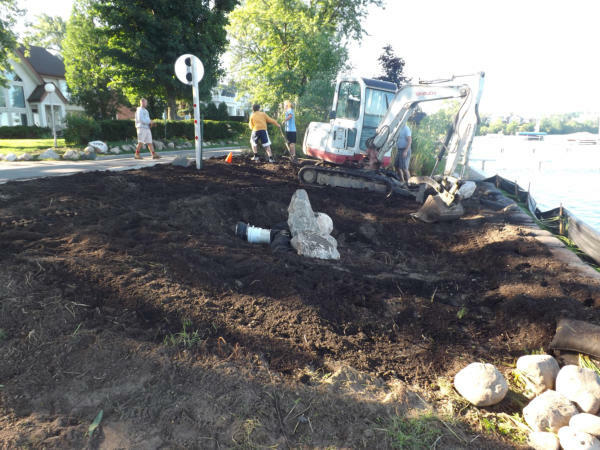 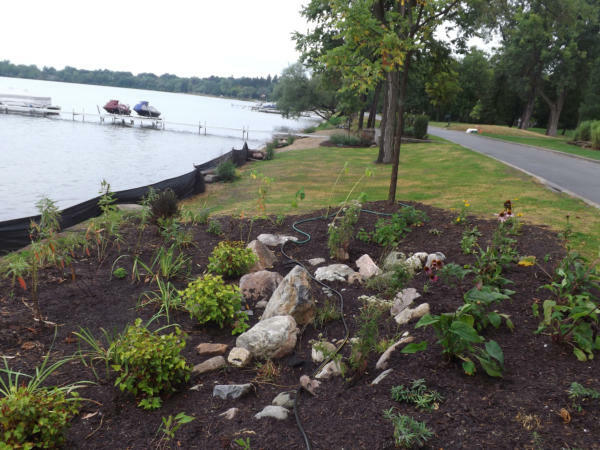 Orchard Lake Project 2013 Two main riparian shoreline concerns had to be addressed. 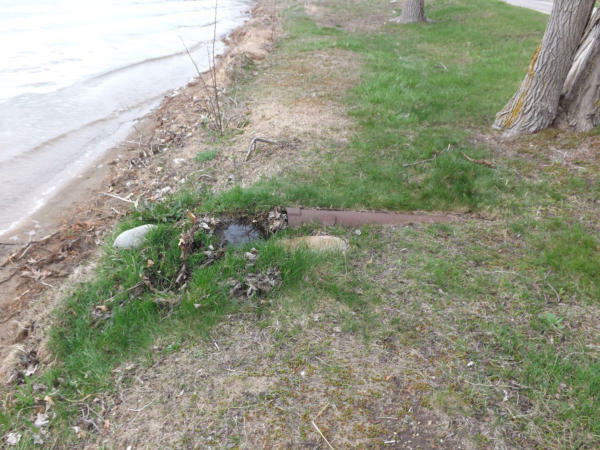 First the ice push was impacting shoreline stability and then a storm-drain outlet drained directly into the lake without any filtration. 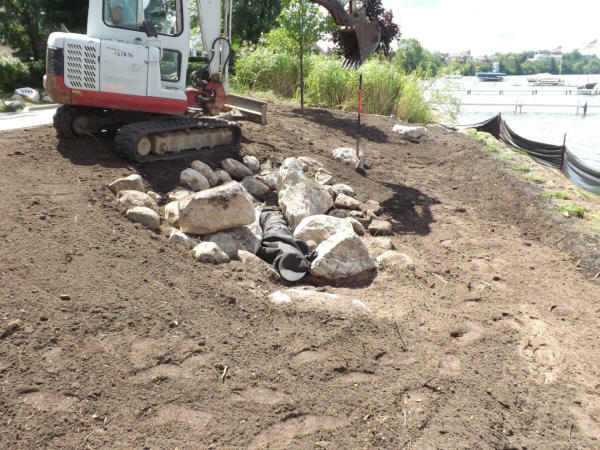 The storm-drain outlet was truncated by 6 feet and a semi-porous "T" section was added to help spread out the outflow into the new rain garden that was created. 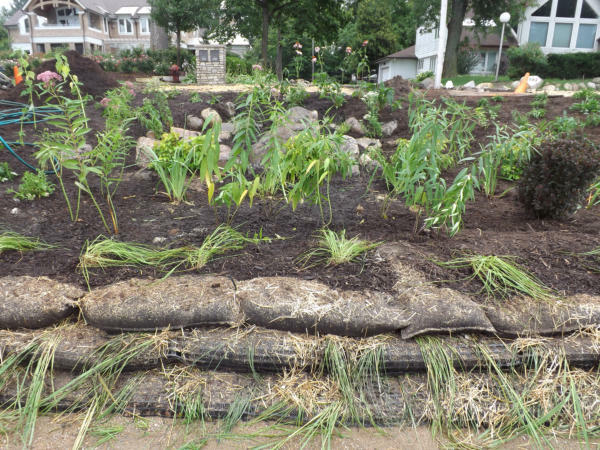 Envirolok units were installed to manage the ice push and create a second level of filtration for any overflow from the rain garden. 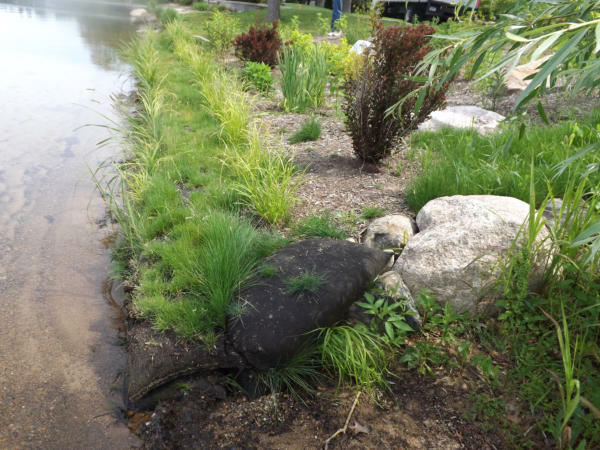 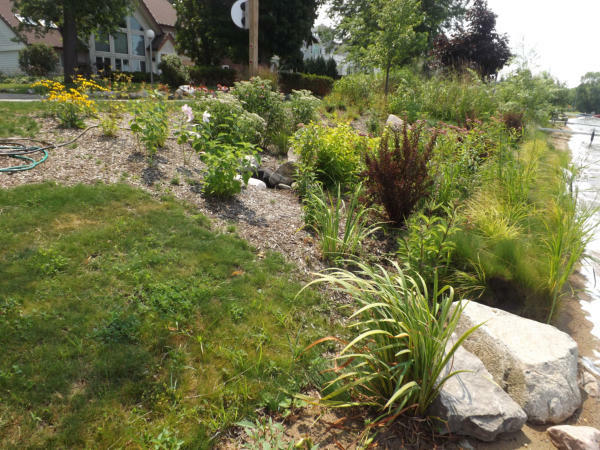 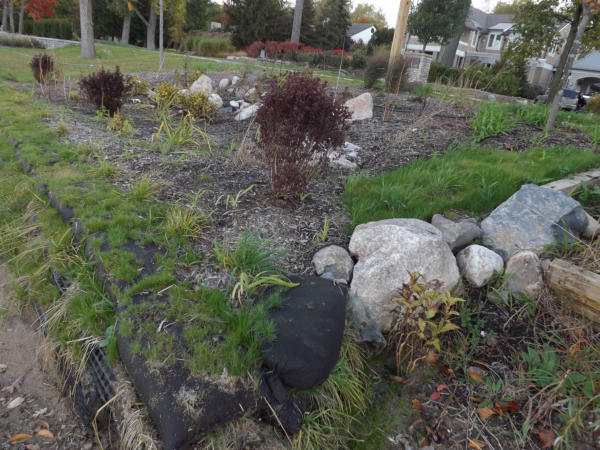 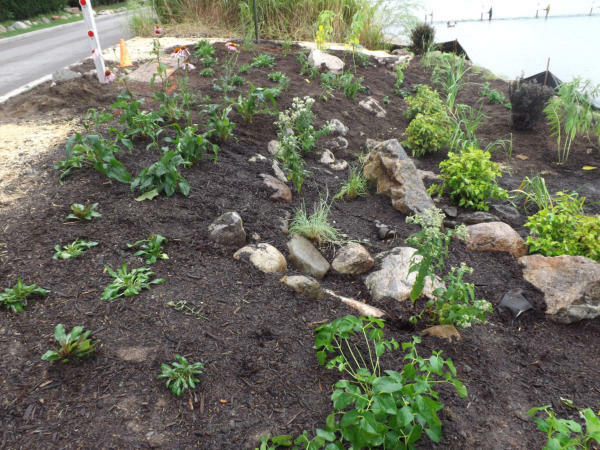 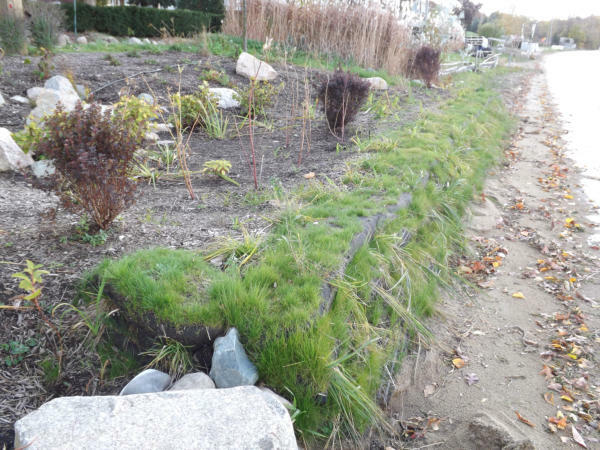 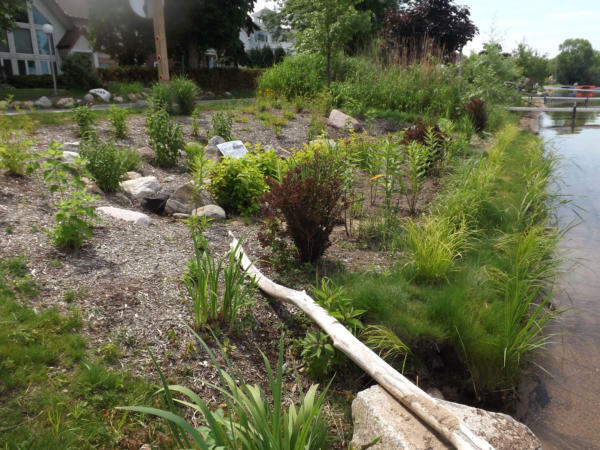 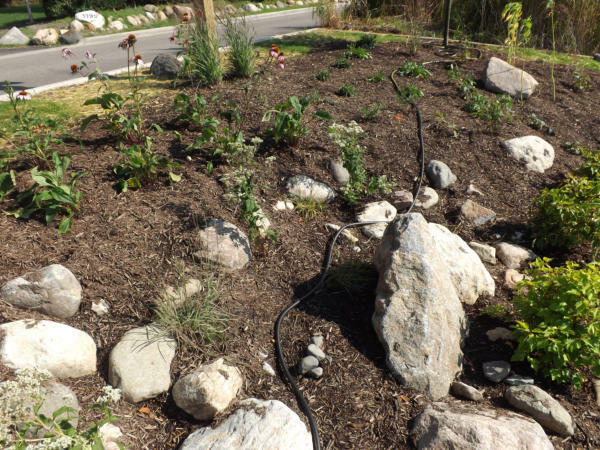 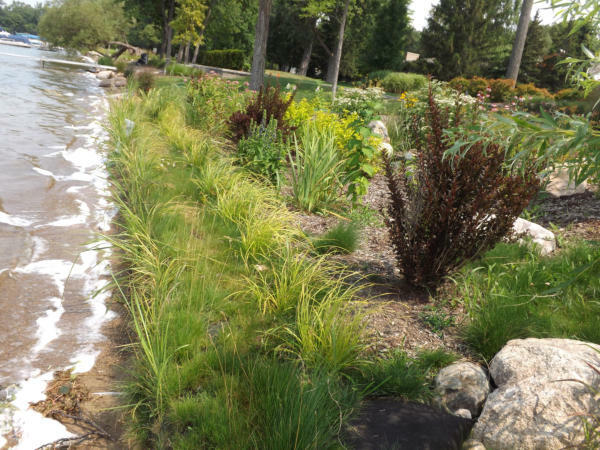 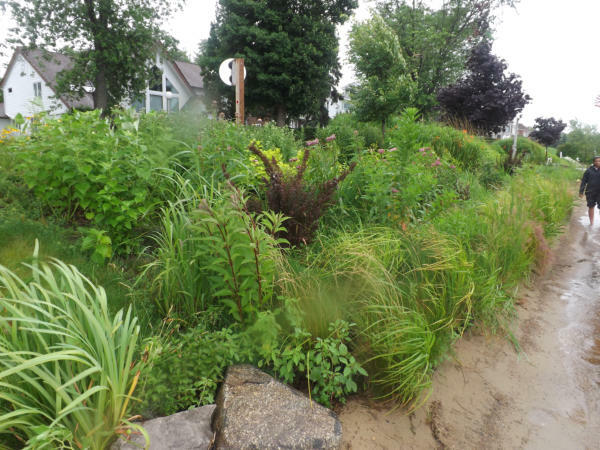 The rain garden features all Michigan native plants, grasses, and shrubs. 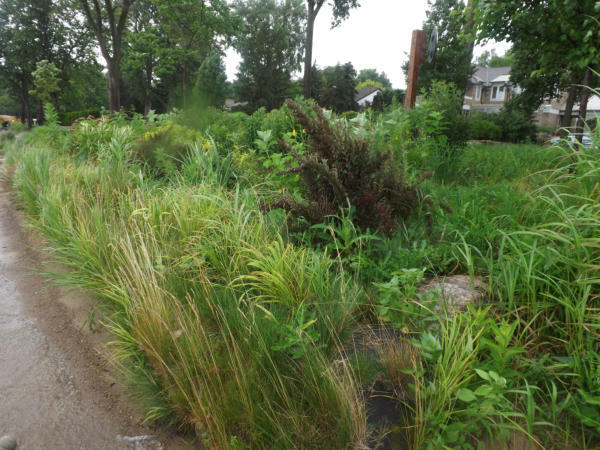 The effect of the riparian buffer zone will protect and enhance the beauty shoreline.